American pool is a term used in the United Kingdom, and sometimes more broadly outside North America, to refer to pool (pocket billiards) cue sports that make use of formerly American-style and now world-standardised numbered billiard balls that have a standard diameter of 57 mm ( in), as opposed to British-style unnumbered 56 mm (2 3⁄16 in) balls. 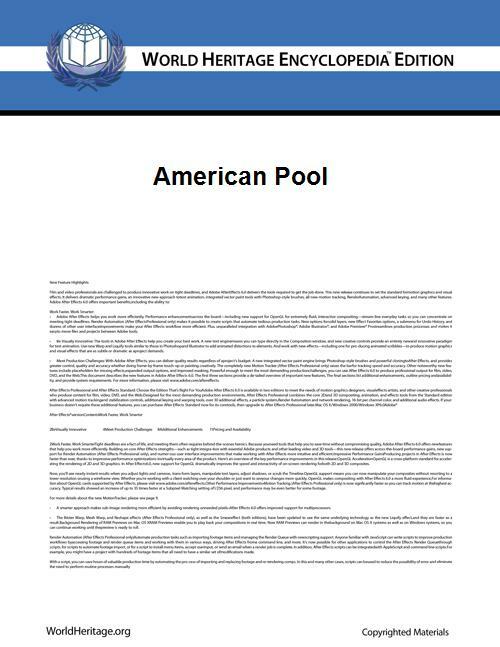 Other "American" pool differences from British-style pool include larger pockets to accommodate the bigger balls, and diamond system markings on the rails. One-pocket, an extremely challenging game in which each player must make all shots into a single pocket.